Having paan as a mouth-freshener delicacy is the best option that you can serve to guests in your wedding. There are many paan shops in Bangalore that you can hire. There are lots of varieties of it that can be served in weddings including Meetha, Saunf khushboo, Sada, Mix patti, Pineapple, American, Special chocolate, Badamn cherry, Special meeta and others. From these varieties, you can select which varieties you want in your wedding. Budget requirements you can discuss with a paan-wala. 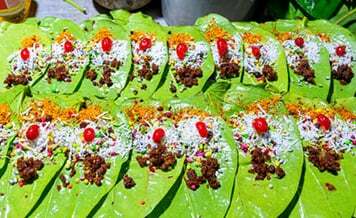 It is from the oldest time perhaps that in Indian weddings paan is served at the end of a meal as a mouth-freshener and it is refreshening too. As mentioned above there are varieties of paans you can have in your wedding. There is no dearth of it. And those foreign guests who are going to come to your wedding would definitely like this mouth-freshener, paan. Many different types of dishes can be made with it, only depends on you what you have ordered your caterer. 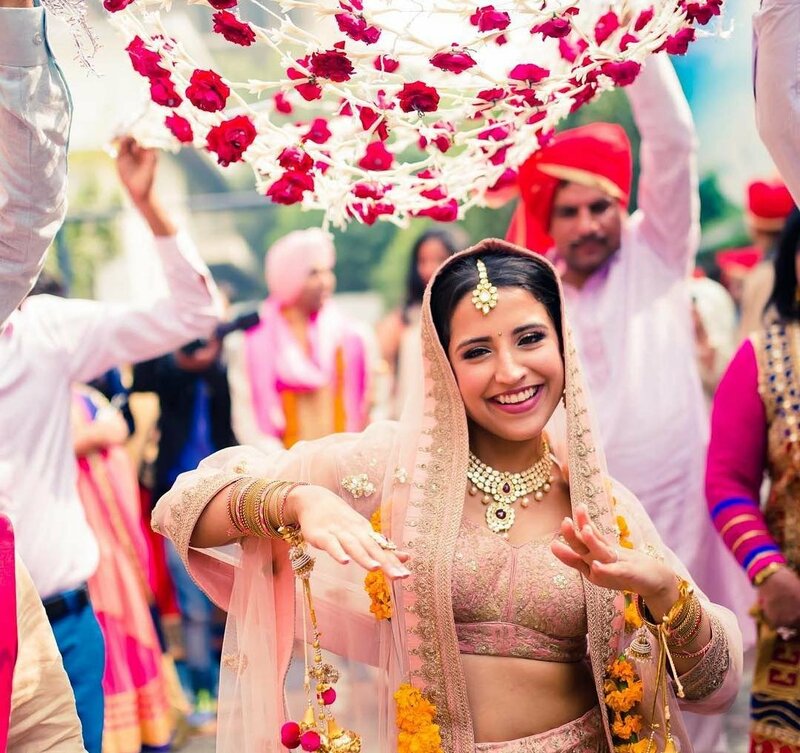 If your destination wedding is in Bangalore and you want experienced and professional paan vendors in the city then you can search on India’s best online wedding platform Shaadidukaan. The portal is enriched with the verified vendors you want for your wedding or any other event requirements. Around 45 categories you can book the vendors which are available with their profiles and contact page from where you can get all the information about them like how long they have been in their business, what their service quality is, and know reviews about them what customers have given them. Everything about a vendor is on his profile. The portal is active in 24 cities and planning to provide its services in more. One of the best good things about the portal is our customers are immensely satisfied with us. Hence whether you want to find paan wala vendors in Bangalore or any other, you can find all on this portal. Choosing a paan wala for your wedding depends on his experience how much he has in for providing services for wedding types of events and also how many varieties of paans he can make for your guests. 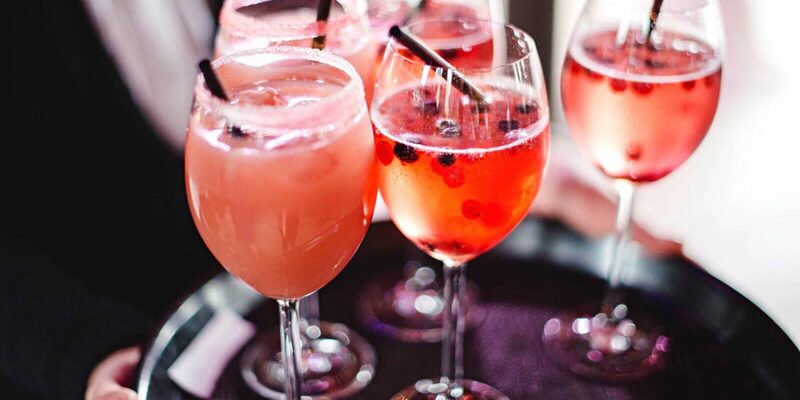 Because there are many varieties of it as told above and you want each one on the table in your wedding. So definitely you need an experienced and professional paan vendor for the wedding who has the idea about wedding types of events. Here we are going to tell you how you should choose. Search on the internet: rather than going in galis, you should first start your search on the internet where you can find a number of paan vendors who provide services for weddings and events. There you can also check reviews about them how customers have rated them. By which you can get an idea of whether particular paan vendor you should hire or not. Ask friends and others: don’t just depend on the internet reviews because sometimes reviews on the internet are not genuine. So to better get the idea about it, you should ask your friends and other acquaintants who know about them. After getting 100 percent satisfied, then you should only book. 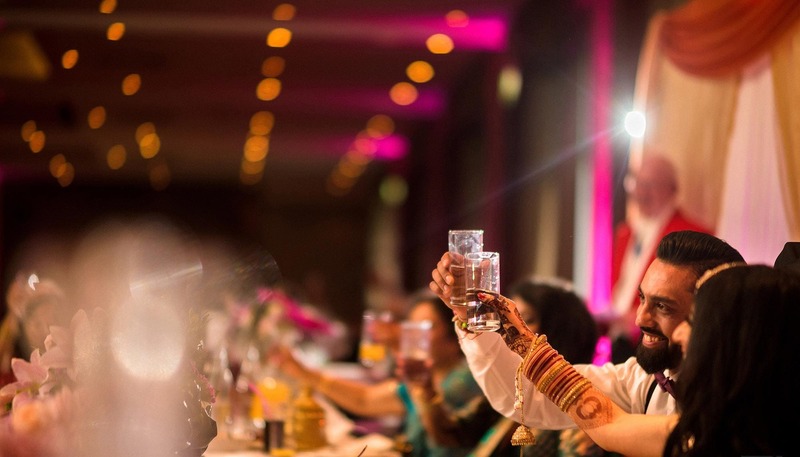 List: make a list of those paan wals about whom you think you want to hire them and fix a meeting with them to discuss your wedding requirements. Meeting: according to your schedule meet each one and discuss what varieties of paan you are looking and in how much quantity, whether they will be available or not. 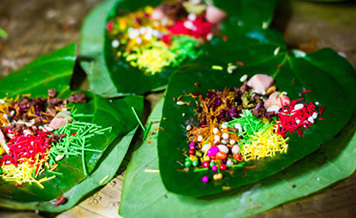 Taste: the paan varieties you want in your wedding, first you need to taste them before finally booking the vendor because it definitely depends on the taste at the end of the day whether you want to book a vendor or not. Hire him: if you like the taste of all the paan varieties that you want to have in your wedding of a particular paan wala, then do all the formalities of contract signing, penalties, and others. And finally, you have hired him for your event. As every business has gone online, wedding is also. These days people are searching vendors online, getting information about them whether they are genuine ones or not. It is always the case whether online or offline. So rather than entangling yourself in quality of vendors, you can directly come on Shaadidukaan where you always find verified, experienced and professional vendors for your wedding. Searching them is also easy, just select the city and the vendor category like best paan vendors in Bangalore.